Last week we finally produced our first batch of Nuts Mania. 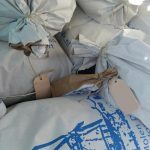 It is shipping as of this moment. Short version: Our clients asked for it. We wanted it… It took us some time to realise, but we did it! Read on for the long version… Every company producing meal replacements, ignored the advice given by all food regulatory organs such as the FDA and the EFSA. Namely: A varied and balanced diet is a prerequisite for good health. Hence you will see the term ‘balanced’ used as keywords, adwords and what more. But the word ‘varied’ you will not come across. The usual formula is to take a couple of base ingredients as a baseformula and stick to it. Build the variation around the same base. But also the improvements, without changing the main ingredients. Once in a while there is even a major ingredients update (like software), but the base stays the same (exceptions prove the rule). We already had a single base built on oats and soy flour with flavor extensions and we wanted a completely different base. The cheapest and easiest solution is to replace the non-vegan ingredient (whey) with a plant based source. 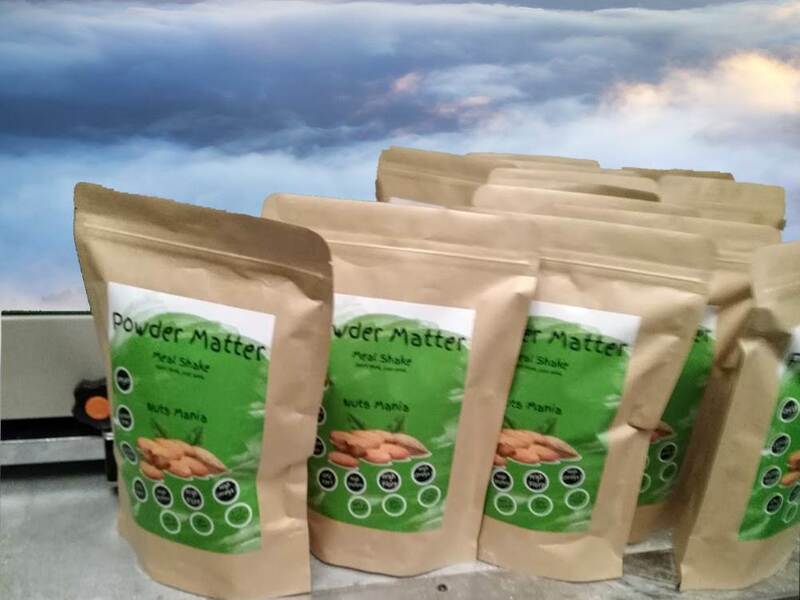 We did this, but because we also wanted to change the base flavor and texture of our product from the oats that is in almost any powder based meal replacement, we went a step further and used another source for the main complex carbohydrates: buckwheat! Buckwheat contains all the essential aminoacids, besides the high level of complex carbohydrates. However it does not taste like oats. Not at all. It tastes like nuts. This was how we decided to add the almond meal so we would not only have a delicious nutty mix, but also a good amount of plant fats. 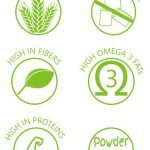 The high level of Omega-6 made us look for a vegan Omega-3 source which would increase the Omega-3 to Omega-6 fatty acid ratio. Even though we considered using algal omega-3 powder, we finally decided on linseed. The high levels of fatty acids from almonds in the mix require an antioxidant to prevent decay and we decided that rosemary extract would be the best to fulfill this function. We added a natural aroma to enhance the nutty taste. 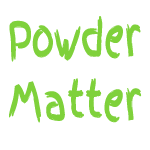 In our initial tests the mix was too sticky and caked together on the bottom of the shaker. So much that the water could not access it. Silicon dioxide prevents this from happening. We used only half the amount of the sweetener sucralose that we use in our original recipe. Even though the proteins that come from buckwheat and almond are of good quality, with a complete profile, it is insufficient for our purpose. So we needed a plant based protein source. We tried: pea protein, lupin protein, rice protein, chick pea protein. We really wanted to avoid the added sugar problem in our product. The reason why our western food industry has caused so much trouble to public health: added sugar. On the other hand, soy protein isolate had a very high percentage of proteins with a very nice taste and excellent mixing properties in water. We made sure our soy protein isolate was coming from a GMO free source and we decided on it. 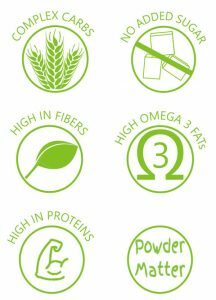 The buckwheat meal, almond meal, linseed meal we use in our product form almost 70% of the mix and are from certified organic production. If we had used organic soy protein isolate, we could have applied for organic certification for this product. This would have increased the production price further to unreasonably high ranges. For now We are happy with the current organic sources of our ingredients. After we were ready with our recipe, our new vegan product fulfilled the next labels: Gluten free, GMO free, Lactose free and added-sugar-free. The macro energy distribution is designed according to the recommendations by the European Food and Safety Association. Did we meet the set goals? 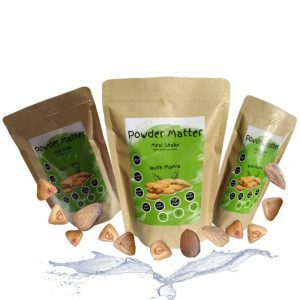 We have a vegan powdered mix that tastes like nuts having a party on your tongue. No oats, cereals or toasted soy meal. It complies to the EFSA criteria for healthy food. 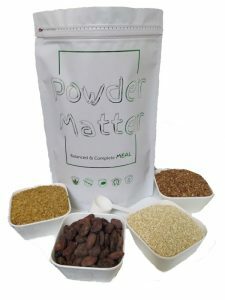 Powder Matter Vegan Meal Shake is available for order. The price is pretty average for the included ingredients, however because of the big difference with our -original- line we decided to apply a promotional reduction in price of 30%. A bag can be ordered from € 12.50 and it contains 5 meals. Each 400 kcals.€2.50 per meal. We also produced a 400 kcal caffeinated single bag version. This is contained in single meal bags. It contains 200 mg caffeine and roasted almond instead of raw almond meal. It will be included in every order until they are finished. Order now to get this freebie!